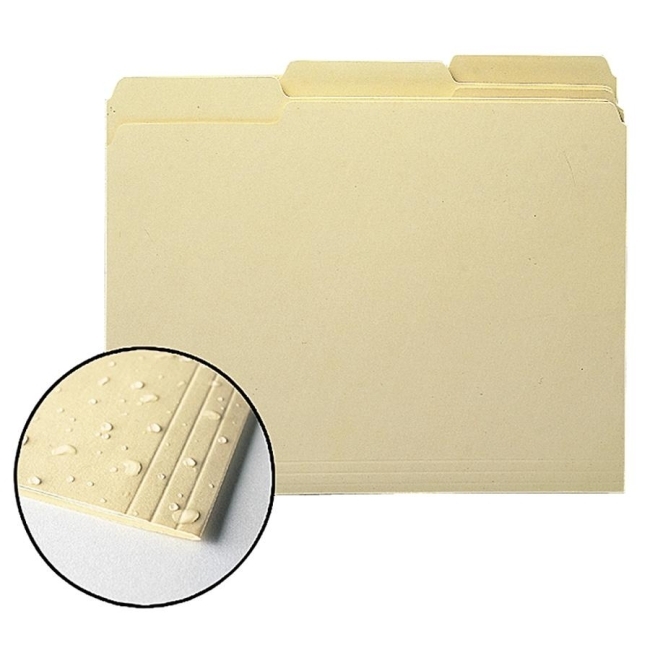 Smead WaterShed / CutLess Folder - 9.50" x 11.62"
Sheet Size: 9.50" x 11.62"
Folders resist spills of liquids such as water, coffee, soda and more. Simply wipe off folder. The special Watershed surface will accept notes using a ballpoint pen, rollerball pen or pencil. Dirt-resistant and finger oil-resistant. Folders also reduce the risk of paper cuts because they are made of Cutless paper. Contains 30 percent recycled material and 30 percent post-consumer material. SFI Certified.